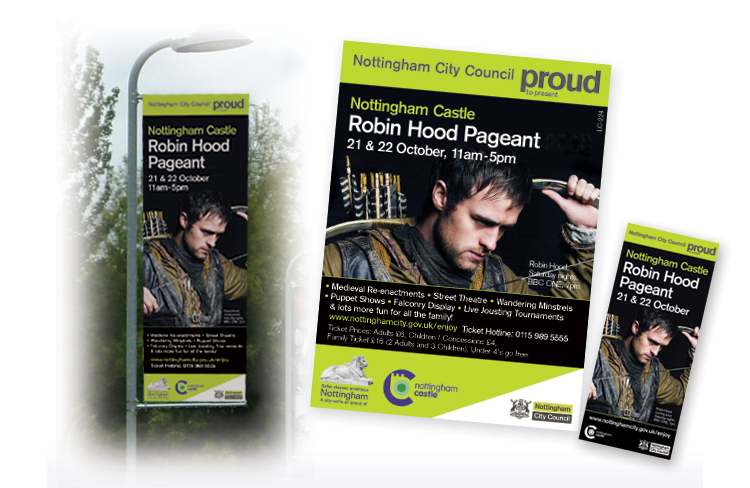 Here are several large banner designs we created Nottingham City Council’s Robin Hood Pageant, which included the designing of huge banners for the ‘Council House’ in Market Square in Nottingham city centre, also poster and lamp post banners that were on sites throughout the city. We also design the leaflets for the event and these were distributed through the councils numerous offices, leisure centres and buildings. The event was held at the famous Nottingham Castle. 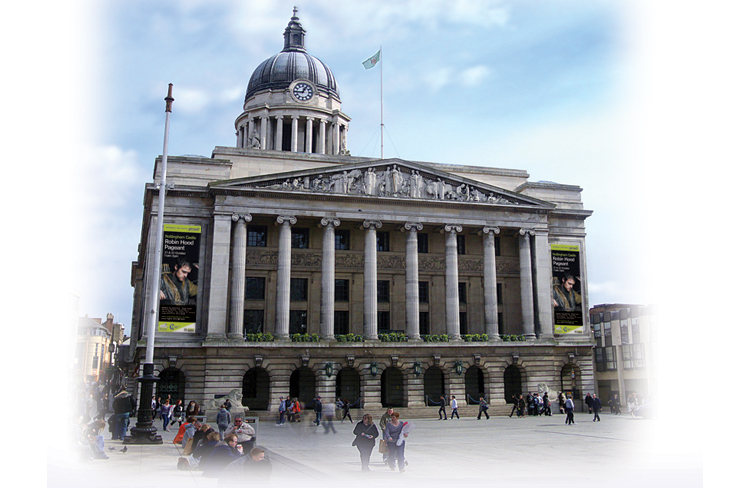 If you require large banner design, leaflet design or poster design for your public sector organisation or a private company, we would love to help. Call the large banner design experts in 01433 208 307 for a FREE quote.